Saturday, January 30th, 2016 was a day filled with unpredictable finishes, upsets, and raw excitement when the UFC returned to the East Coast for UFC on Fox 18 at the Prudential Center in Newark, NJ. While MMA fans around the world marveled at Anthony “Rumble” Johnson’s supreme power in knocking out Ryan Bader on the ground, stared in bewilderment as veteran heavyweight Ben Rothwell served grappling master Josh Barnett his first legitimate submission loss in MMA, or felt their jaws hit the floor when the unheralded Brian Barbarena submitted the UFC’s prized prospect Sage Northcutt with a rare arm-triangle choke from the “wrong side” of half guard, New York’s fight fans were keyed in to some hometown favorites repping the local scene. 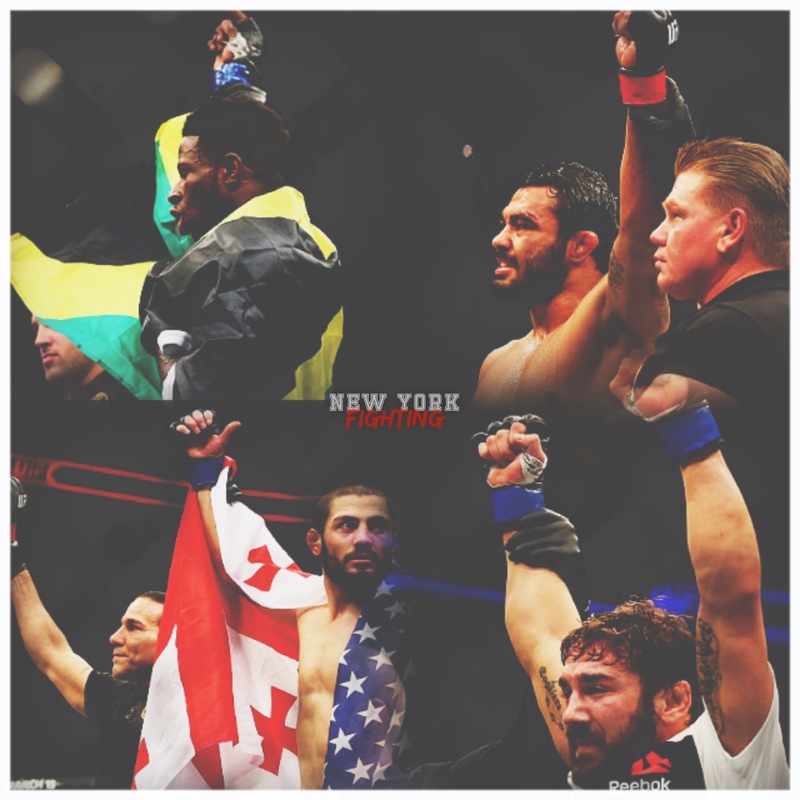 The card featured four New York-based fighters in Rafael “Sapo” Natal, Randy “Rude Boy” Brown, Levan Makashvili, and Jimmie Rivera, all fighting in the closest major arena to New York City while still being outside of New York itself, where MMA is still banned. ​Levan Makashvili, who was born in the country of Georgia but resides in Oceanside, NY, opened the night for the Empire State by fighting to a controversial majority draw with Dallas, Texas’ Damon Jackson in a featherweight bout. Makashvili (7-2-1) appeared to want to keep the fight standing in the first two rounds, which he did successfully while landing occasional strikes and avoiding wild shots from Jackson (9-1-1). Although the referee intervened to separate clinches many times in those rounds, the New Yorker was able to secure multiple takedowns in Round 3, and appeared on his way to claiming at least two of the three rounds to earn a decision. However with just over a minute left in the fight, Makashvili landed what appeared to be a blatantly illegal knee while Jackson had a hand on the ground, rendering him a “grounded opponent” according to the Unified Rules of MMA. This prompted a warning from the ref. Moments later, when Makashvili landed an inadvertent eye poke, the referee saw fit to deduct a point, meaning that the third round would likely be scored 9-9. One judge scored the fight 29-27 for Makashvili, but the other two scored it 28-28, for an unsatisfying draw that drew boos from the partisan crowd. 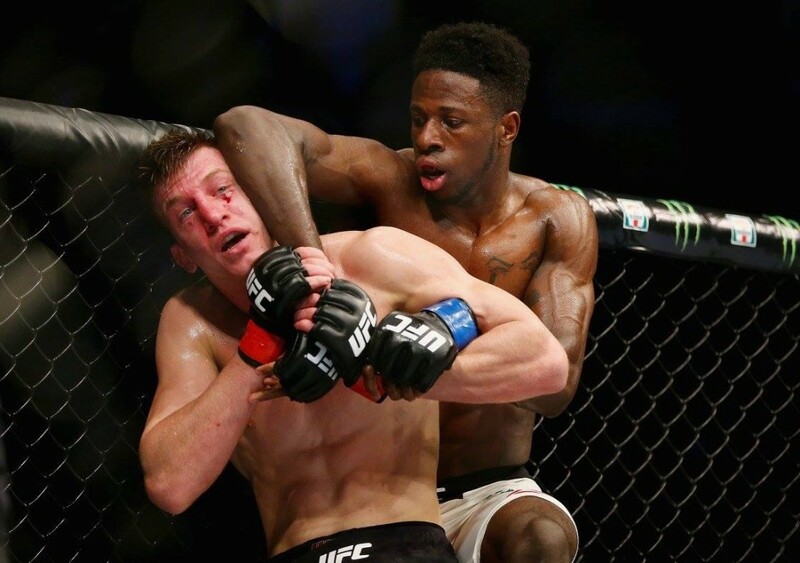 In the very next fight, Randy “Rudeboy” Brown, fresh off his appearance on Dana White’s new reality show “Lookin For A Fight,” made his triumphant debut in the UFC with a unanimous decision over the tough and durable Canadian Matt Dwyer. Representing both Jamaica and New York, Brown (7-0) came into the fight with a considerable media buzz, having been the second fighter to be signed to the UFC off of the Mr. White’s show after Sage Northcutt. Expectations were high, so Brown was given a challenge for his first trip to the Octagon, as Dwyer (8-4) proved a game opponent. At 6’4” Dwyer’s height forced Brown to adjust to a competent striker who was also the taller fighter, since Brown stands 6’3” himself and was used to out-striking slightly shorter opponents. Although Dwyer was more aggressive in Round 1, Brown was able to avoid taking any hard strikes. ​Showing composure and maturity in the cage, “Rudeboy” adjusted in the second frame and was able to take control, particularly in the clinch where he landed effective knees and a tremendous harai goshi Judo throw that brought the crowd to its feet and Dwyer to the floor. Brown followed up with an attempted D’Arce choke, and both welterweights finished the round against the cage on their feet. In the third and final round Brown started with a flurry of punches that stunned Dwyer and had him shooting for a desperation takedown. Dwyer was able to scramble briefly to Brown’s back, but Brown soon reversed and achieved a standing back mount on Dwyer. Later in the round Brown again took top position by scrambling out of a throw attempt from Dwyer, and went on to claim 29-28 scorecards across the board as the crowd roared with approval at the decision. The third New York fighter of the night was Brazilian native Rafael “Sapo” Natal, representing the famed Renzo Gracie Academy in New York City, in a middleweight scrap against Kevin Casey. The two BJJ black belts squared off on the feet for most of the first round, but it was a left hook from Natal (21-6-1) that dropped Casey (9-4) at the last second. Casey was never the same, as Natal scored takedowns and landed effective strikes from top position as the crowd cheered “Sapo.” In the third round Natal’s pressure appeared to have worn Casey down, as the Brazilian New Yorker was able to pass guard and achieve a dominant mounted position, from which he rained down heavy strikes. 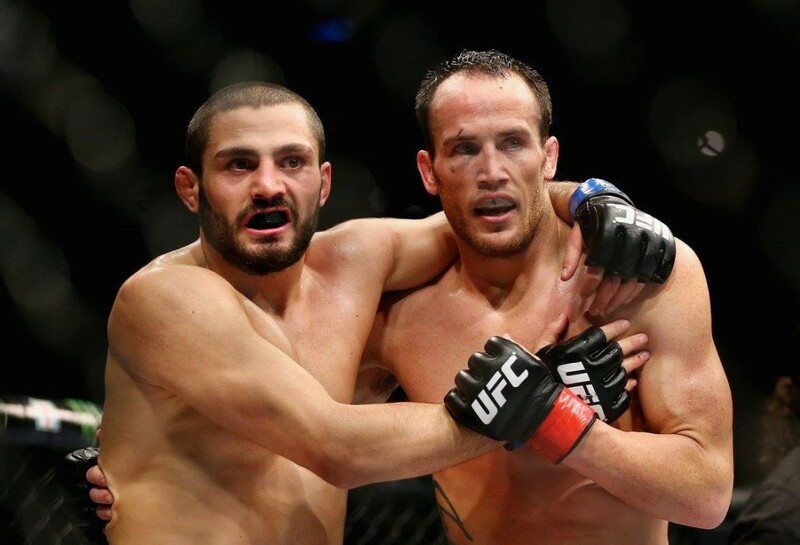 When Casey appeared to offer no defense or ability to fight back, the referee stepped in to wave the fight off and give “Sapo” the TKO victory for his fourth consecutive UFC win. 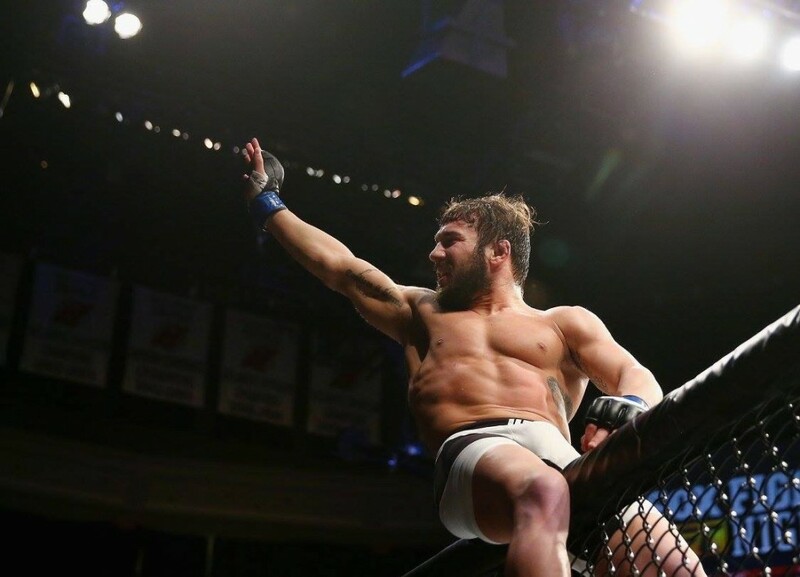 Last but not least, TSMMA’s Jimmie Rivera was successful on the Fox main card, as he defeated top 15-ranked UFC veteran Iuri Alcantara by unanimous decision. A New Jersey native who is an owner and instructor at Tiger Schulmanns in New York City, Rivera (19-1) relied on his hands and well-timed takedowns to earn the highest profile victory of his career over Alcantara (32-7). With fans now filling the building for the main card, the crowd erupted for every strike and takedown landed by Rivera, as he improved an already glossy record by receiving 29-28 scorecards from all three ringside judges. 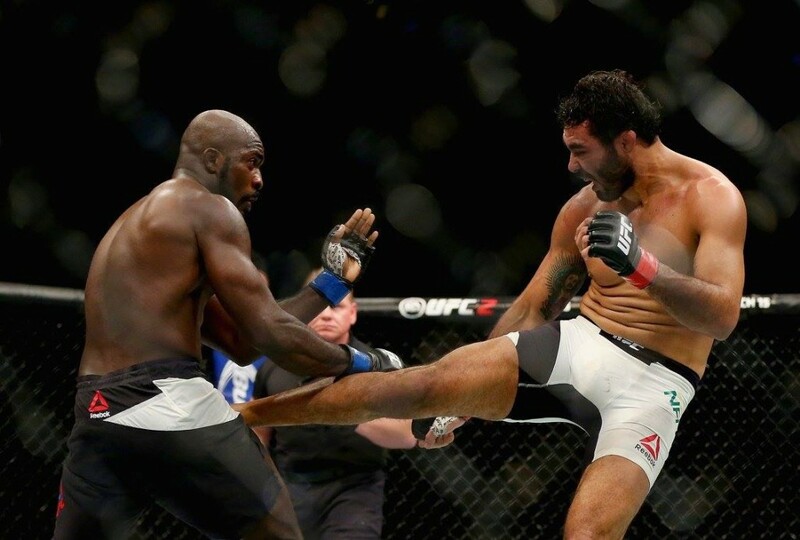 While none of the rounds were dominant for either fighter, Rivera claimed the first round by scoring a late takedown and landing occasional hard punches. In the second round Rivera was more active and landed hooks with both hands. Alcantara seemed to stun Rivera with a left hand later in the round, but Rivera recovered immediately and responded with a takedown to claim the second round as well. While Rivera came out aggressive in the third, Alcantara dropped Rivera with another left hand, but Rivera also landed solid punches throughout the round, closing out with a flurry that had fans in a frenzy. 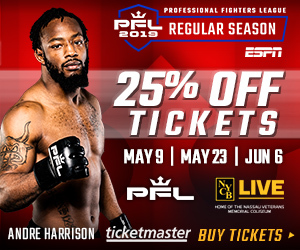 With the memorable performances from some of New York’s best fighters on Saturday night, the event reaffirmed the tri-state area’s place as a hotspot for MMA talent, as well as promotions, with all four fighters being veterans of Ring of Combat and/or Cage Fury Fighting Championships. While local fight fans have watched these four talents for years, their performances on the world stage in the UFC suggest bright futures for these four fighters.